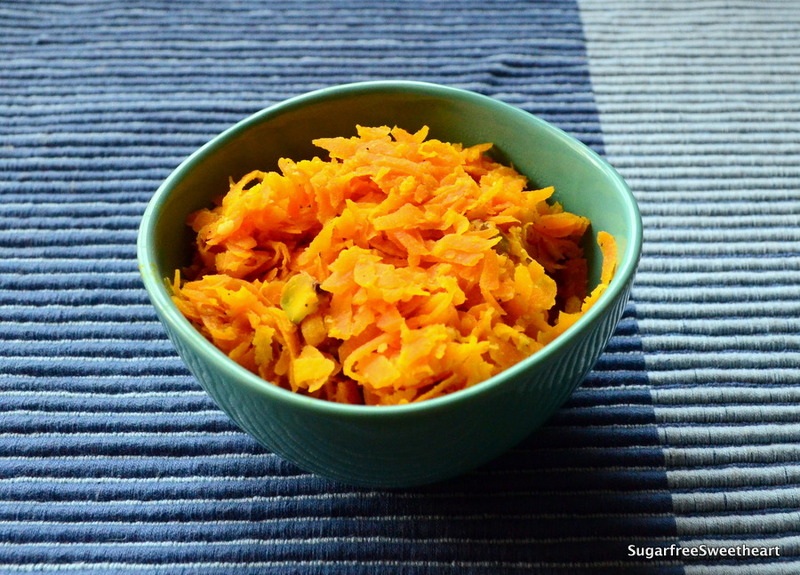 My light yet flavourful, Vegan Gajar ka Halwa (Carrot pudding) is making itself comfortable over at Pavithra’s blog, Eat Live Burp. Please hop over to this link on her blog for the illustrated recipe. You need only 5 ingredients for this healthy version!